All professionals at Highland Dental maintain the highest levels of accreditation and pursue ongoing education to stay abreast of the latest trends in the medical field. 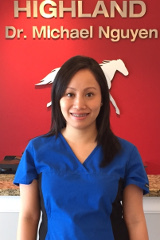 Read on to learn more about our staff's experience and training. Mike graduated from Devry University in 2009 with a Bachelor’s Degree in Biomedical Engineering. He has worked in the dental field for 8 years. 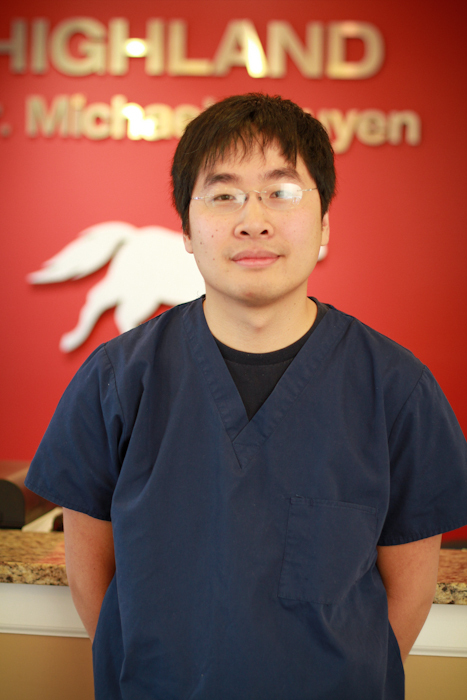 His compassion for patients and their care is his main focus in the office. Mike enjoys health living and cooking. When he is not at work he loves spending time with his family and working out at the gym. Deanna graduated from Osborne High School. 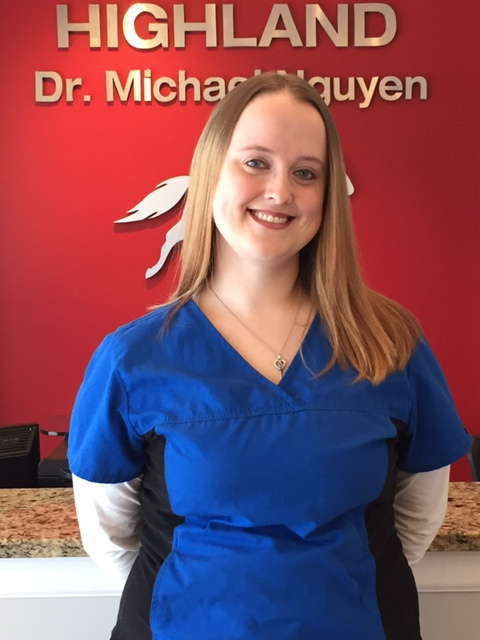 She attended Dental Careers Institute, and loves working with patients to help them maintain a wonderful smile. In her spare time, she likes to spend time with friends, catch up on favorite t.v. shows, and going to Zumba with her mom. She also enjoys singing, and composing her own music. Huan graduated with a bachelor degree in biology at Georgia State University. 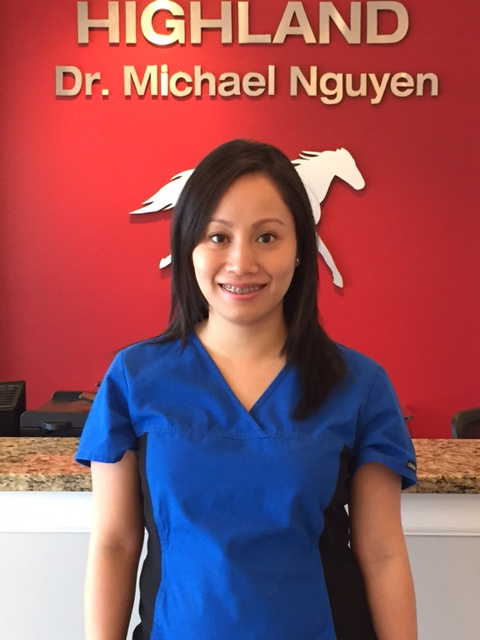 He has been a dental assistant for over 8 years and enjoys drifting, cooking exotic food, and fishing in his spare time. He is also a dental lab technician. 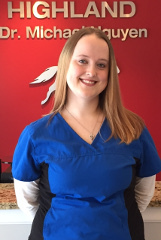 Hi, my name is Kristin, I have been a Dental Assistant for 6 yrs, and in the past yr I have learned what it takes to be a receptionist. 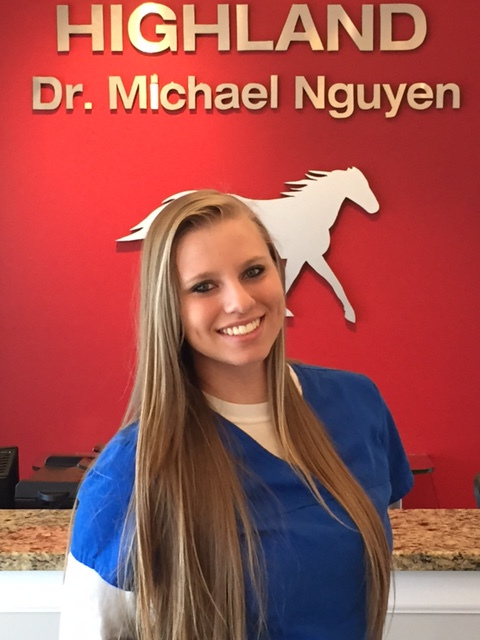 I love every second of helping people reach their smile expectations. When I have free time I love spending time with family, friends, and expescially my best friend to whom I have been married to for 3 years now. 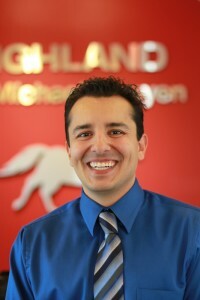 I am the latest addition to Highland dental. I moved to Atlanta from Warner Robins 2 years ago. I have been a hygienist since 2008. 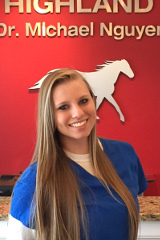 I love what I do and enjoy the fun atmosphere and the great people here at Highland dental. When I am not giving people healthier smiles I enjoy exercising, traveling, and spending time with my family and friends.